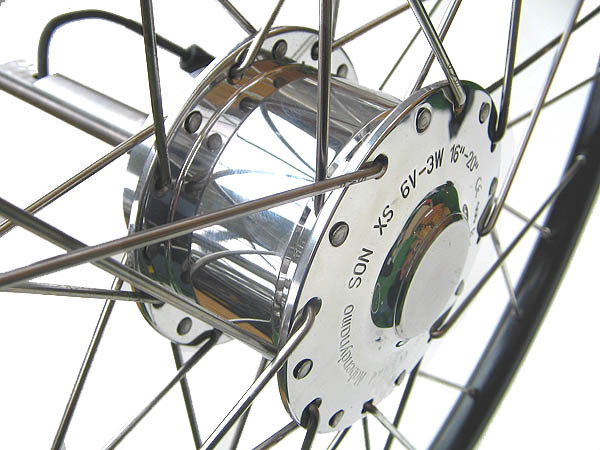 SON-ZR Hub-generator "Schmidts Original" with d.b. option for single side wheel mount, including 90 Lux b&m "LuxosU" light system with light emitting diode light sensor. Stand light front & rear. Brightest light for your night ride.